Georgia O'Keeffe at "291" 1917, Alfred Stieglitz, platinum print, 9 91/6 x 7 5/8 inches. Gift of the Georgia O'Keeffe Foundation. A woman before her time. A woman defying her time. The greatest female artist of the west. 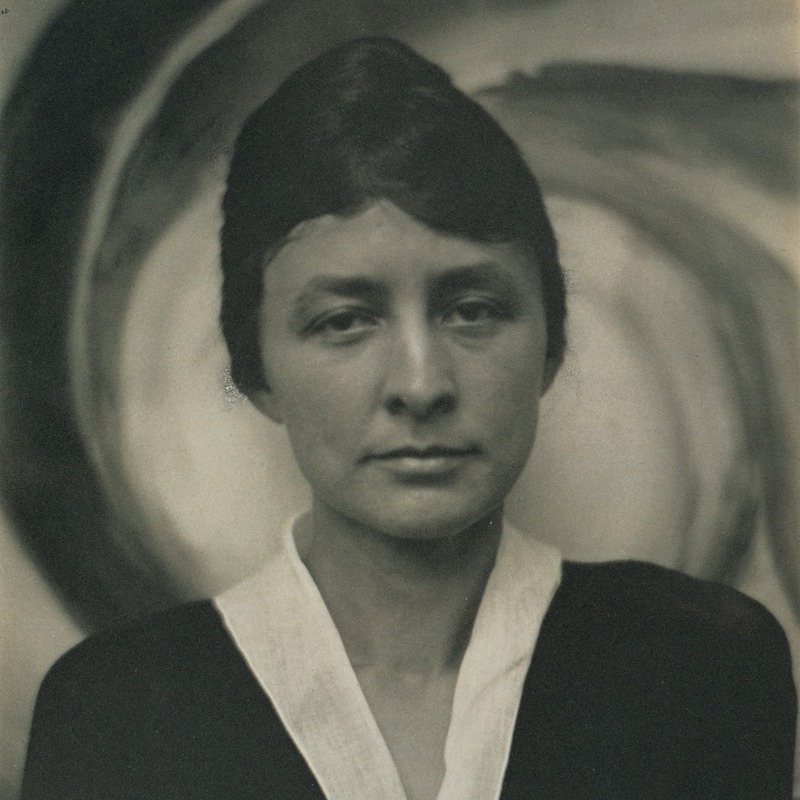 Many titles have been used to describe Georgia O’Keeffe, but a more accurate title is “one of the defining artists of the modernist movement.” O’Keeffe bristled at the qualifier “female” artist. She said, “men put me down as the best woman painter… I think I’m one of the best painters.” And this summer, a major retrospective at the epicenter of modern art, The Tate Modern in London, solidifies that assertion. Not that O’Keeffe needed the vote of confidence. 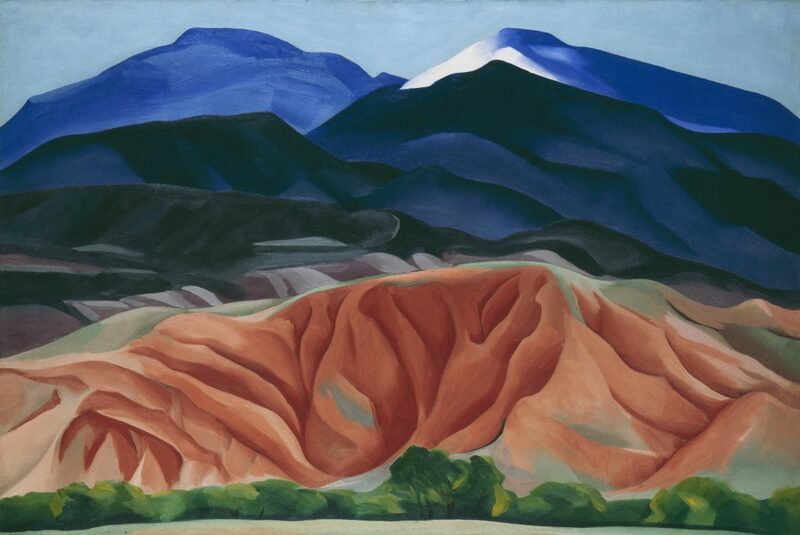 O’Keeffe and her work is firmly grounded in the West; but she didn’t only paint the West. Born and raised in Wisconsin, O’Keeffe went to school in Virginia and studied art in Chicago and New York. She lived for a time in Texas, but the urbanscape of New York City and the landscape of New Mexico were not only her homes but also her intimate subjects. Black Mesa Landscape, New Mexico/Out Back of Marie’s II, 1930, Georgia O’Keeffe, oil on canvas mounted to board, 24 1/4 x 36 1/4 (61.6 x 92.1), Georgia O’Keeffe Museum, Gift of the Burnett Foundation, ©Georgia O’Keeffe Museum. 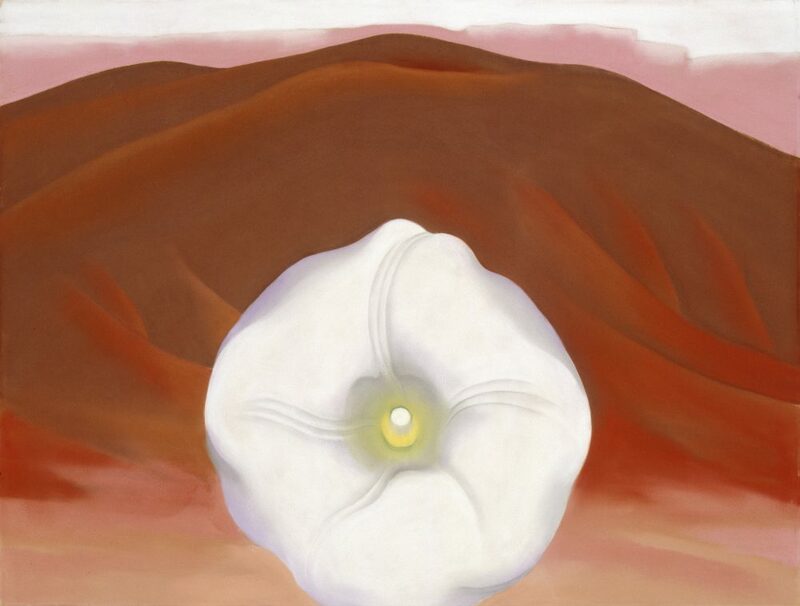 Red Hills and White Flower, 1937, Georgia O’Keeffe, pastel on paper covered board, 19 3/8 x 25 5/8 (49.2 x 65.1), Georgia O’Keeffe Museum, Gift of the Burnett Foundation, ©1987, Private Collection. After London, the O’Keeffe retrospective will go to Austria and then Toronto. Because none of O’Keeffe’s works live in UK public collections, the Tate show is a once-in-a-lifetime opportunity for audiences outside the U.S. to view O’Keeffe’s work in person, where the beauty and skill have even more impact than on screen or on the printed page. The exhibition is accompanied by a catalogue from Tate Publishing and will tour throughout 2017.